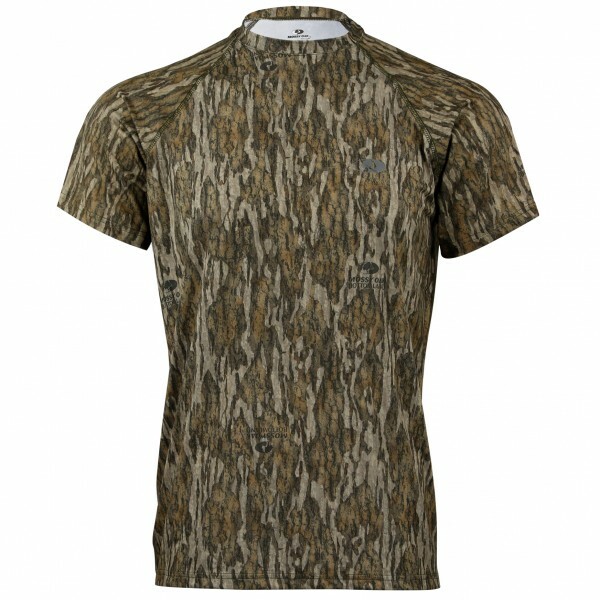 Just like Dad's, this performance hunting t-shirt offers the ultimate in comfort and moisture management in warm conditions. It also works great as a layering garment to provide added warmth. It features a full raglan cut for maximum range of movement, and constructed from a 95% Polyester/5% Spandex material blend that's smooth and lightweight.